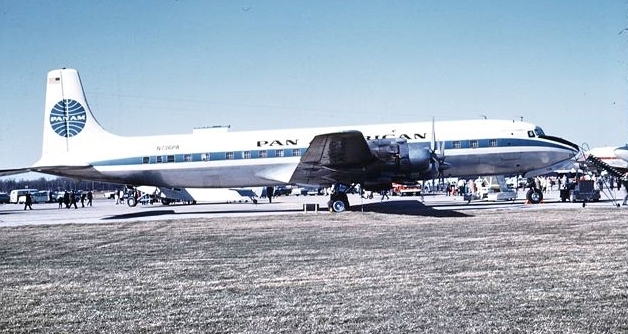 Probably the most advanced of the piston airliners, the Douglas DC-7C had also one of the shortest, if not the shortest, service life with Pan American World Airways. 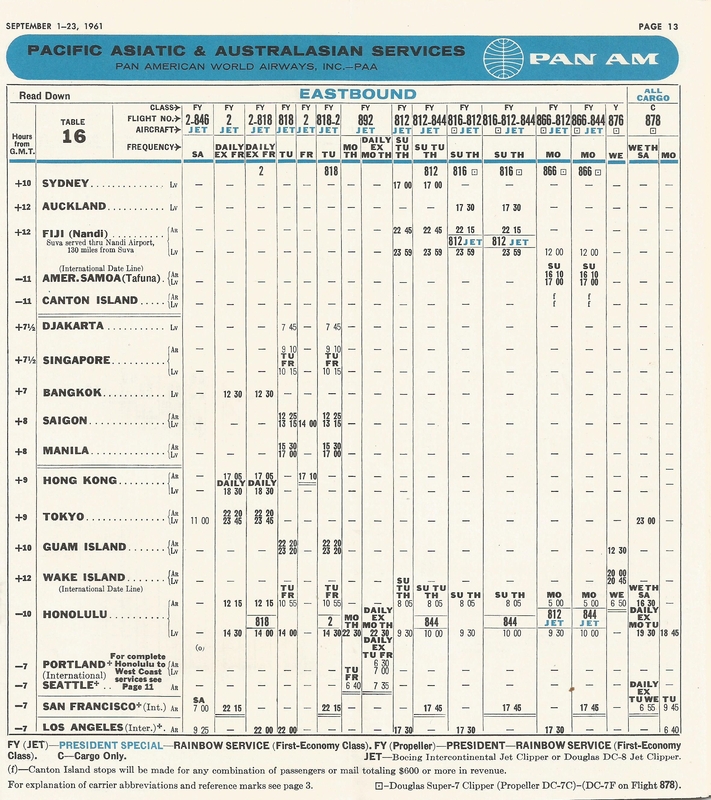 The aircraft came about as a result of the competition in the North Atlantic for what Ron Davies’ in Pan American World Airways – An Airline and Its Aircraft, referred to as the “non-stop prize”. 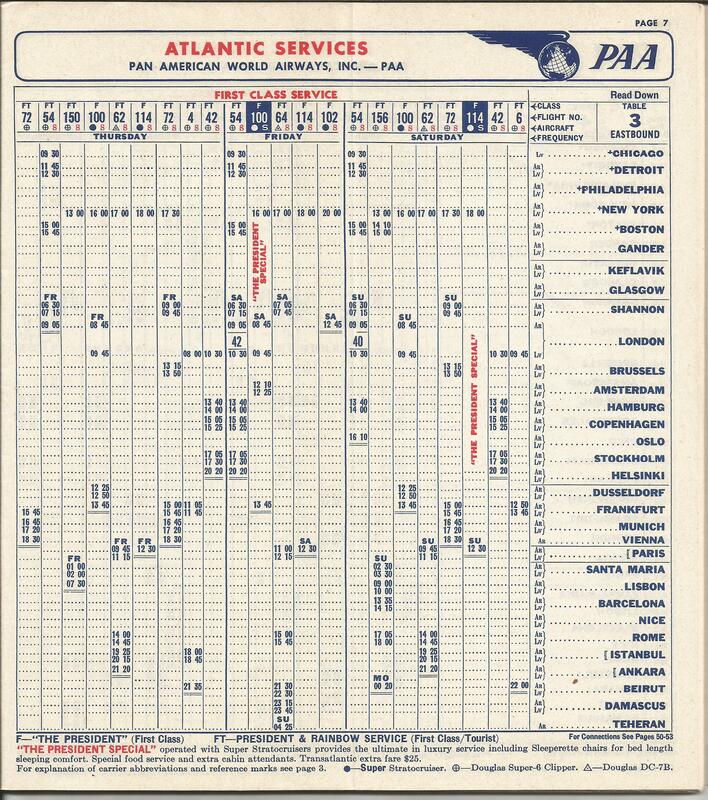 The competition had already been brewing on the domestic front between Douglas and Lockheed with TWA introducing the first U.S. transcontinental non-stop service in October 1953 with the L-1049C Super Constellation shortly followed by American with the DC-7. 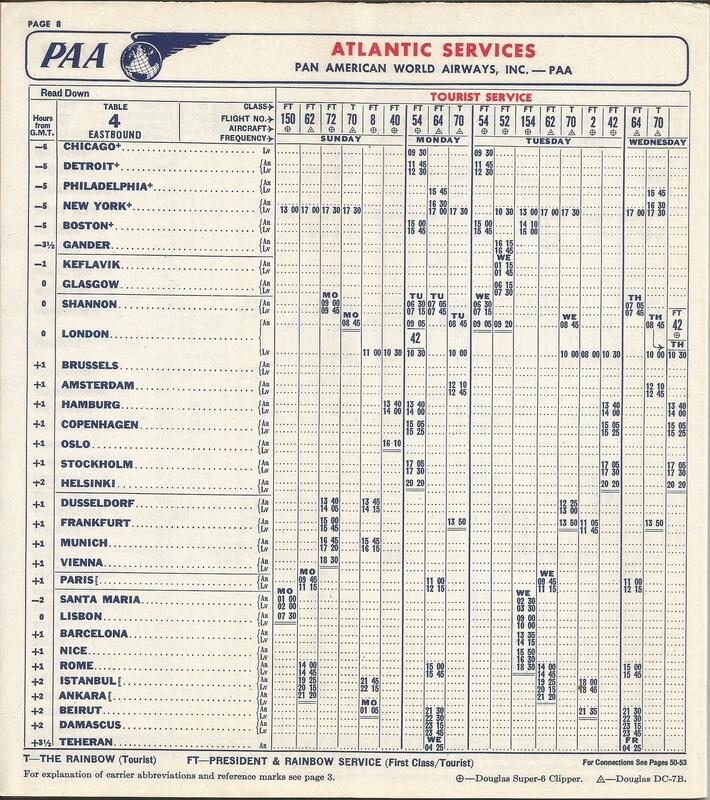 In the transatlantic, it was TWA with its Super Constellations versus Pan American, with its Super Stratocruisers fitted with extra fuel tanks and later with DC-7B’s, which had a slightly higher gross weight and longer range than the DC-7. 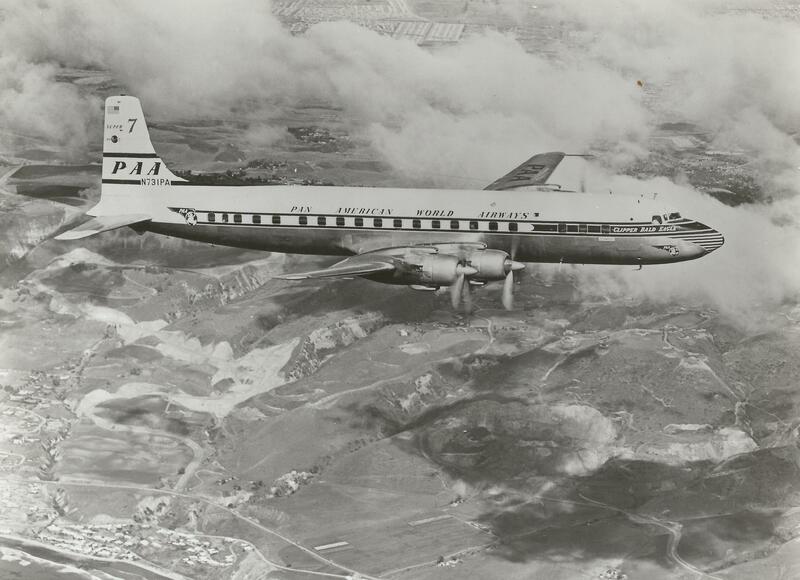 Then, in November 1955, TWA introduced the L-1049G, the “Super G”, which was matched by Pan American with the DC-7C in June 1956. 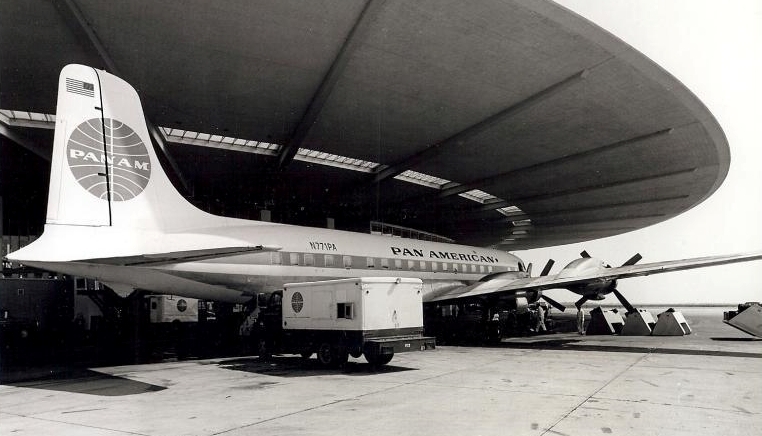 With the DC-7C, called the “Seven Seas”, an extra wing section was added, increasing the wing area by 12 percent, thus enabling the increase of weights, payloads and tankage. 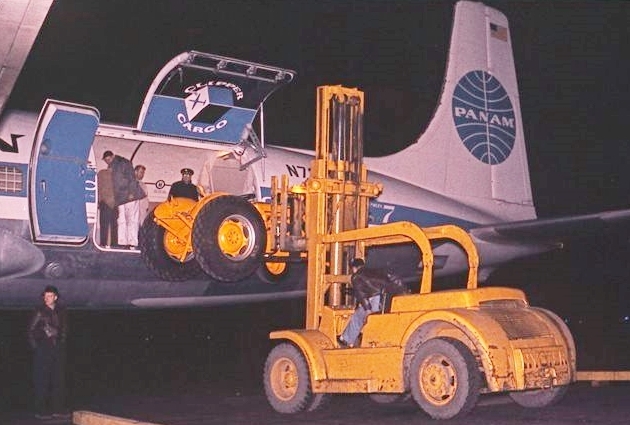 The wings also allowed the engines to be placed five feet further away from the fuselage which reduced the engine noise and vibration in the cabin. 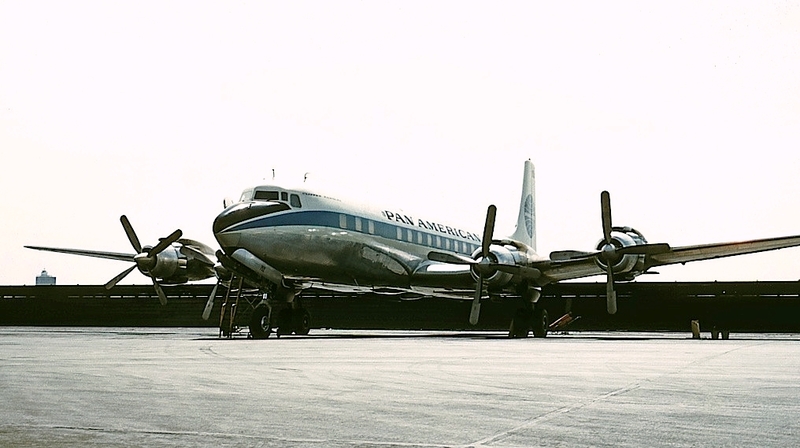 Lockheed later introduced its answer to the DC-7C with the L-1649A Starliner, called the “Jetstream” by TWA, but it only had marginally more range than the former. 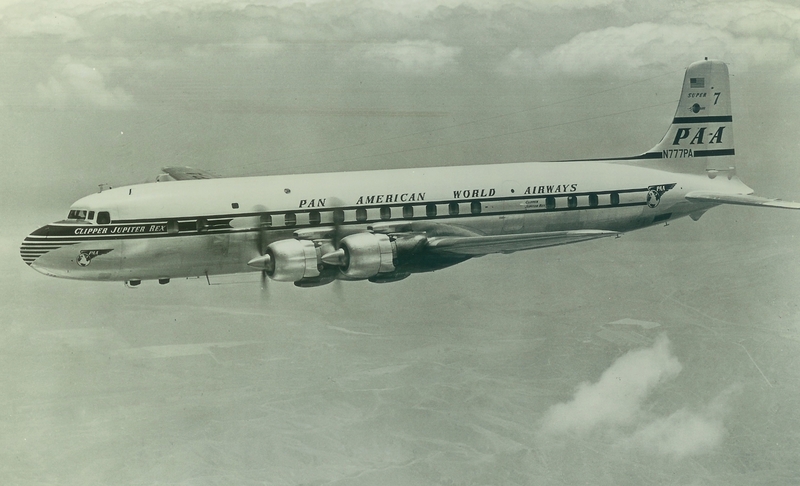 Pan American started taking delivery of its seven DC-7Bs in May of 1955 and these were deployed in the Atlantic. 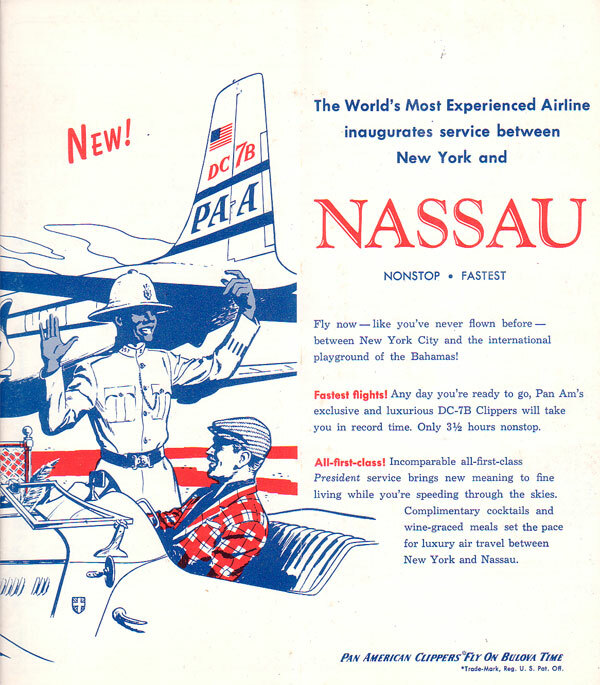 The aircraft was used primarily in all-tourist or dual first and tourist service on the transatlantic routes. The aircraft was marginally non-stop capable, requiring a stop on its westbound leg. 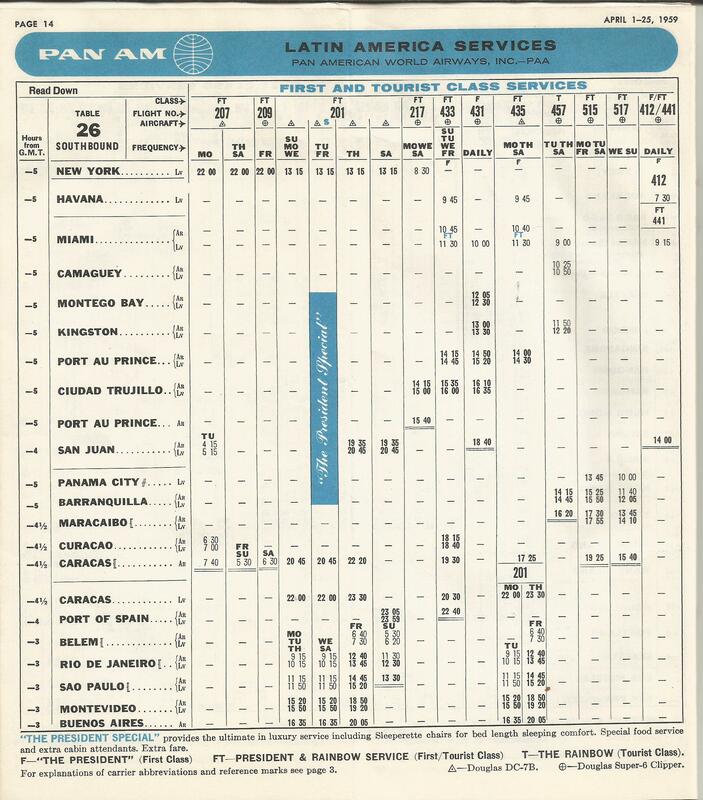 In the same timetable, Pan American also announced the introduction of the, the DC-7C, called the “Super Seven”, the “world’s newest and first commercial airliner capable of flying nonstop across any ocean or continent”. 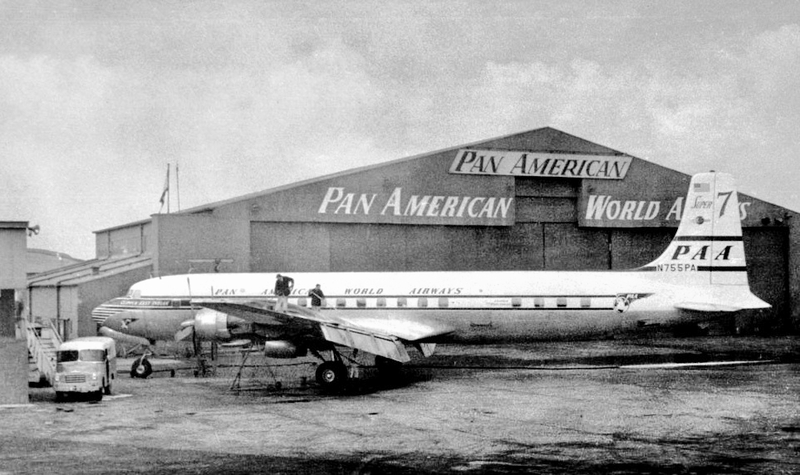 Pan American ordered twenty-six DC-7C’s , including the freighter version and took delivery of the first in April 1956. 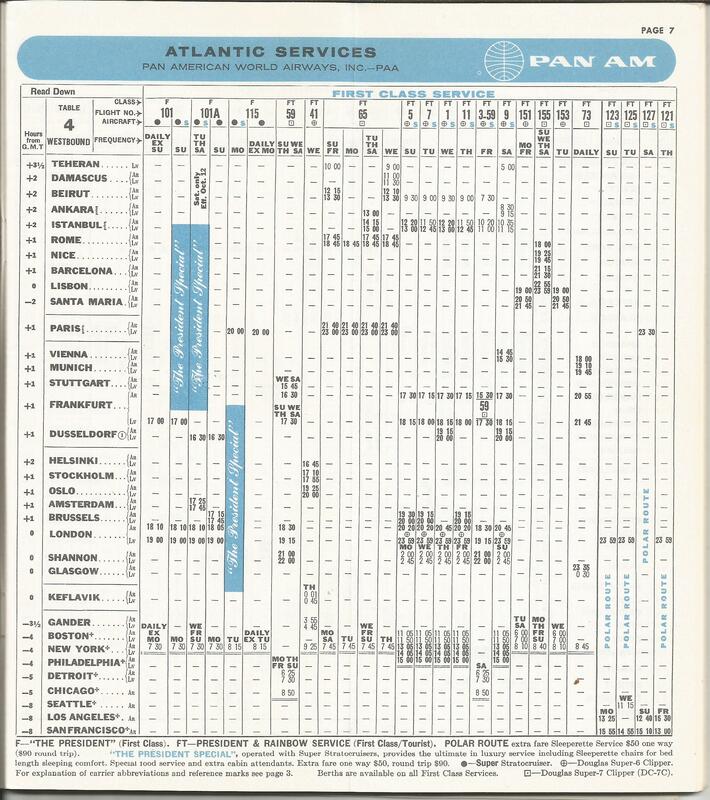 By 1957, the Super Seven was primarily operating in the Atlantic, some Pacific service and on the round-the-world route. 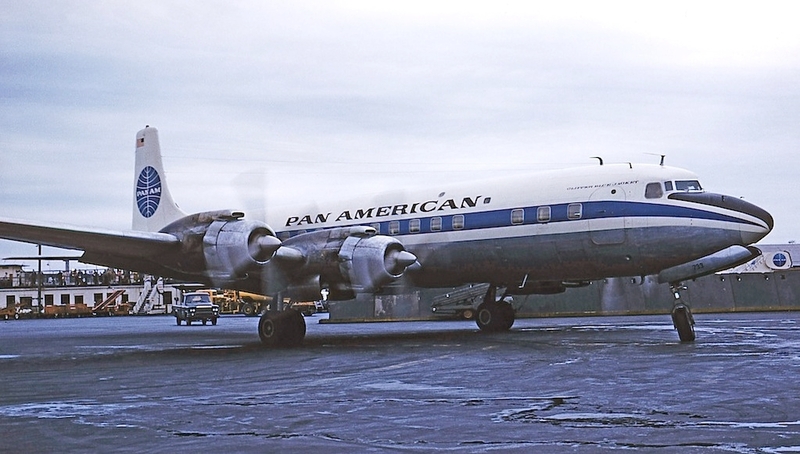 The DC-7B was moved to the Latin America services, including the New York-Buenos Aires flights and points in the Caribbean. 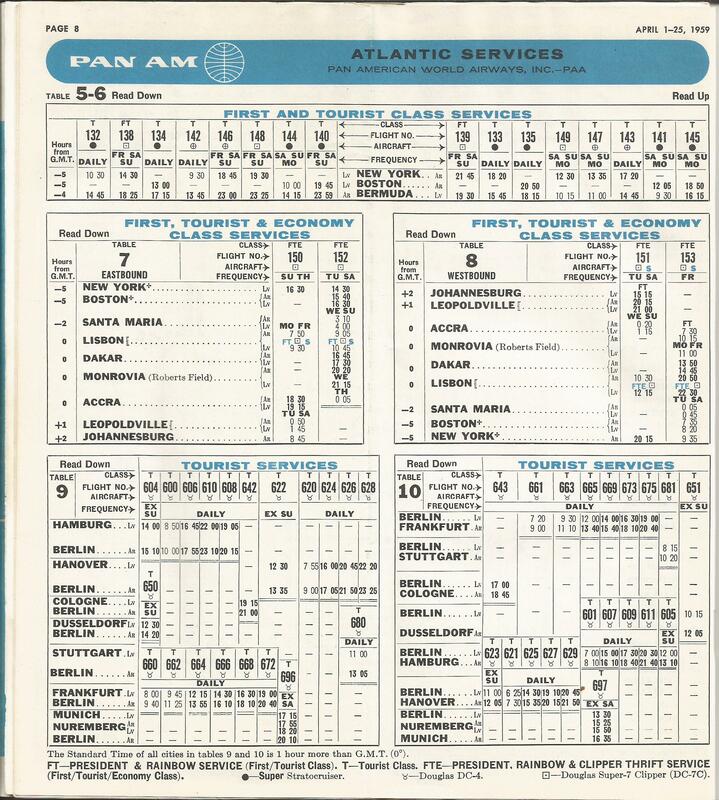 The below pages from the September 1957 timetable illustrate the Atlantic and Caribbean services of the “-7B”. 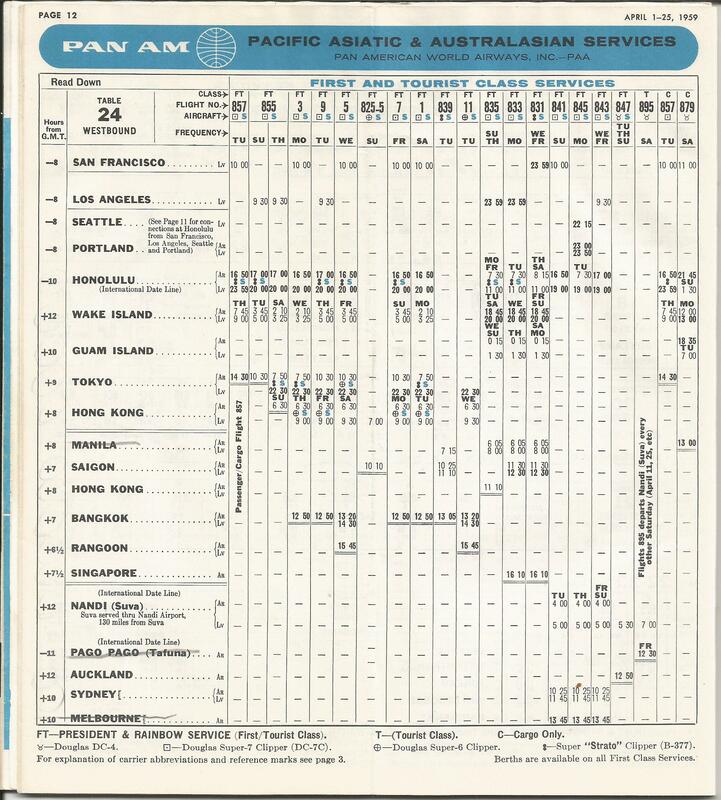 Pan American also highlighted its first class service to Nassau (bottom). 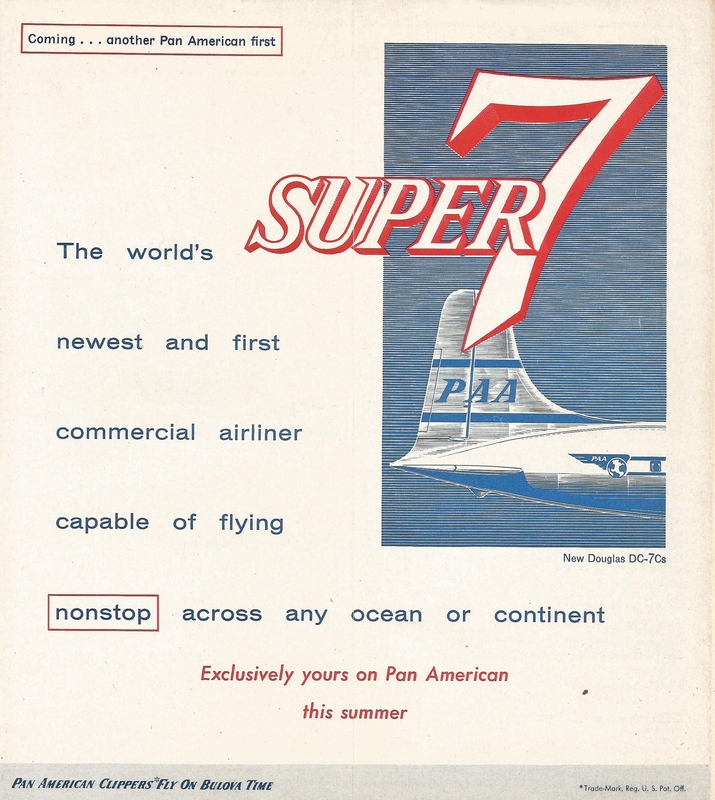 With the introduction of the jets, the Super Sevens continued operating in the Atlantic, Pacific and round-the-world markets as well as on the Africa service. The -7B continued its presence in the Latin America markets. 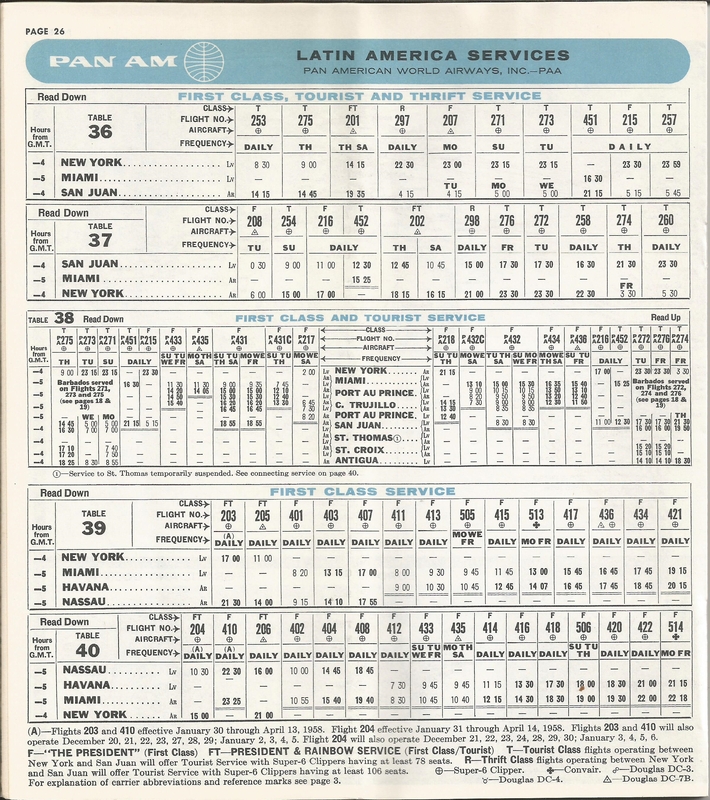 These services are illustrated in the April 1959 timetable. At New York Idlewild (photo by Allan Van Wickler). 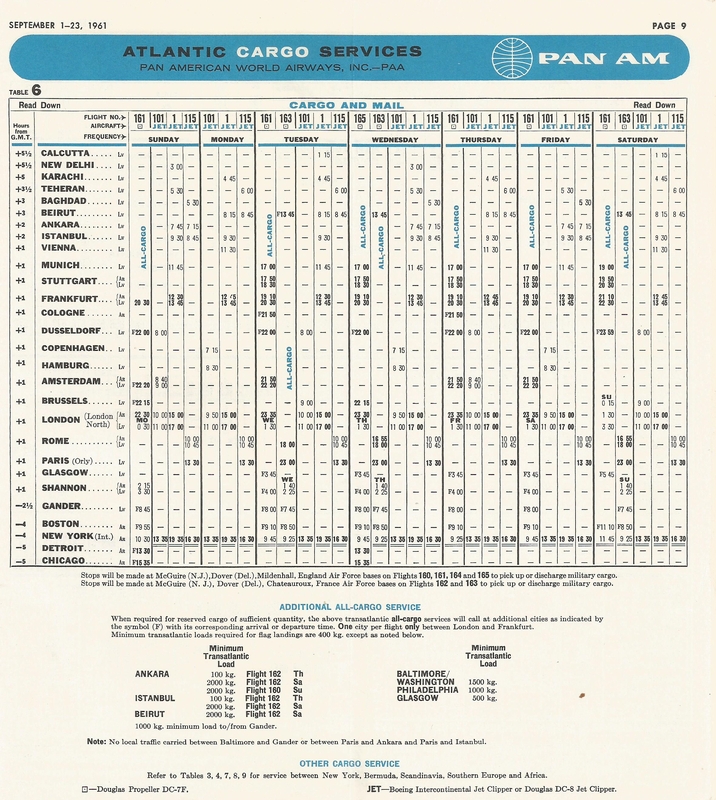 As a kid I few tran-Atlantic on the Seven Seas to London. 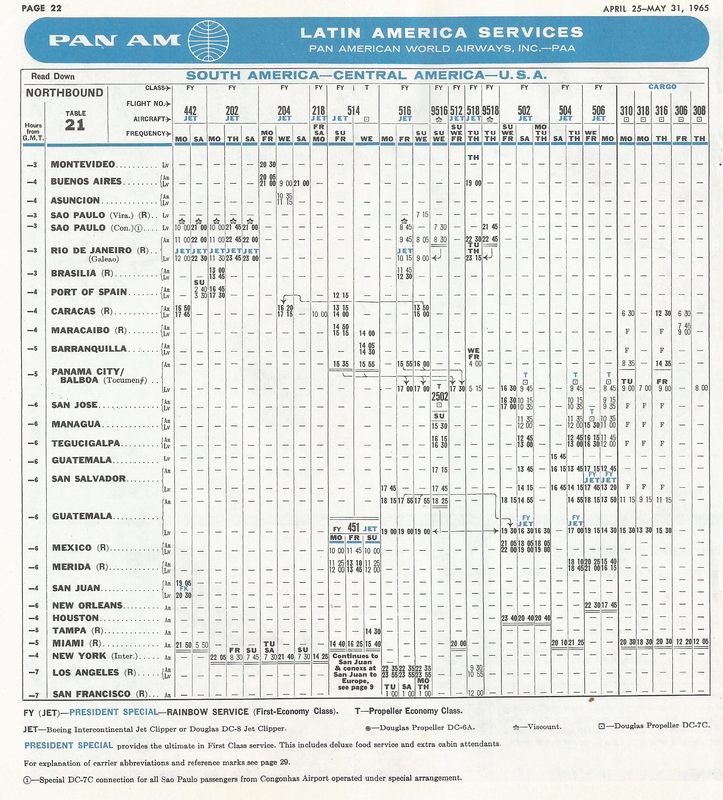 I was nine but remember so many details – especially the cockpit tour. Thanks for this wonderful tribute to a grand old airplane.